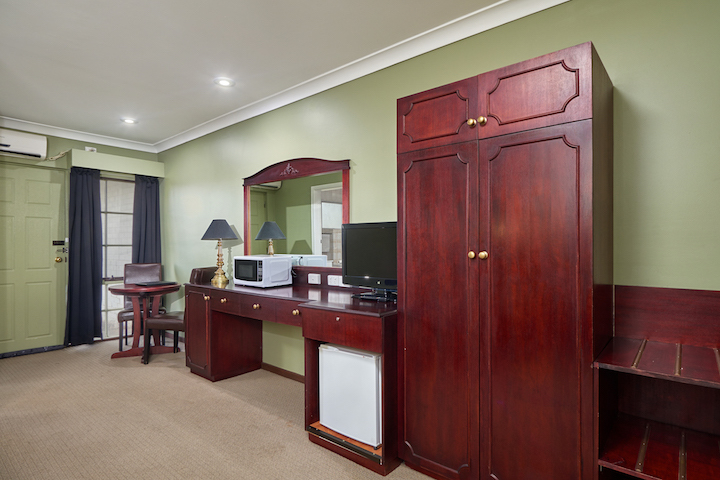 Enjoy free breakfast and free Wi-Fi in a newly refurbished room. Park right outside your room with an outlook over country gardens. 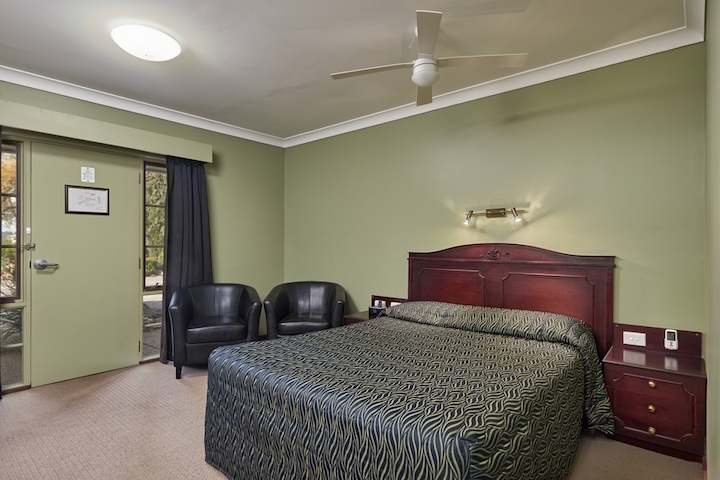 All rooms have a Queen bed to accommodate a maximum of 2 people. Some interconnecting rooms available. All rooms have microwave and tea and coffee facilities. Iron and Ironing board.